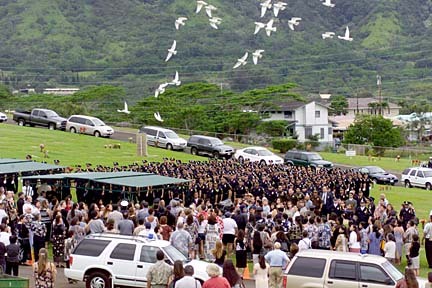 Relatives and colleagues of slain Honolulu police officer Glen Gaspar held a final tribute yesterday at Hawaiian Memorial Park in Kaneohe. 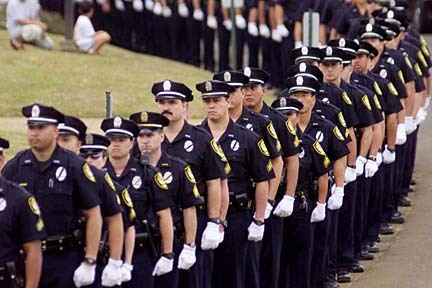 HPD officers lined the roadway of the cemetery as the funeral procession drove through. 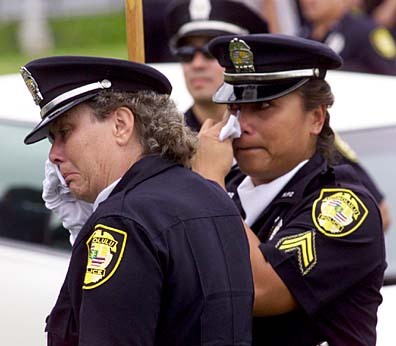 HPD officers Christine Thomas and Zelda "Z" Cabudol wiped away tears at the end of the service. White doves were released to soar over the gathered mourners near the end of the service. The Honolulu Festival brought a taste of traditional Japanese culture to Hawaii yesterday with cultural performances and exhibitions around town. 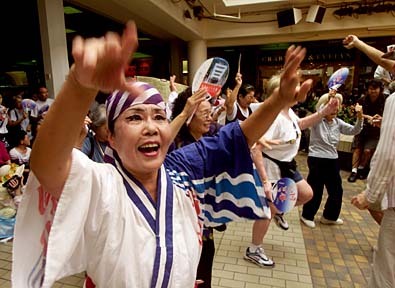 Above, Hideko Minaki led a dance at Ala Moana Centerstage involving the audience. She and the other dancers are from Kobe Nankoren in Kobe, Japan. 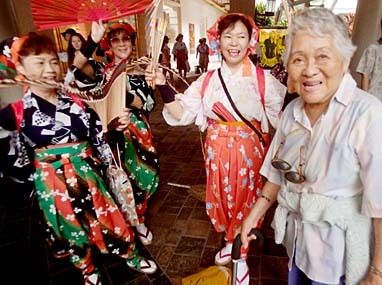 At left, Kunia Shishido, left, Sachiyo Tomioka and Satchiko Iwata, from Nihon Nankin Tamasudare in Kobe, Japan, performed a dance at Ala Moana with spectator Alice Kablan, 91. The festival concludes today with more events at the Hawaii Convention Center, Ala Moana Center and the Royal Hawaiian Shopping Center, as well as a parade down Kalakaua Avenue in Waikiki at 5 p.m.